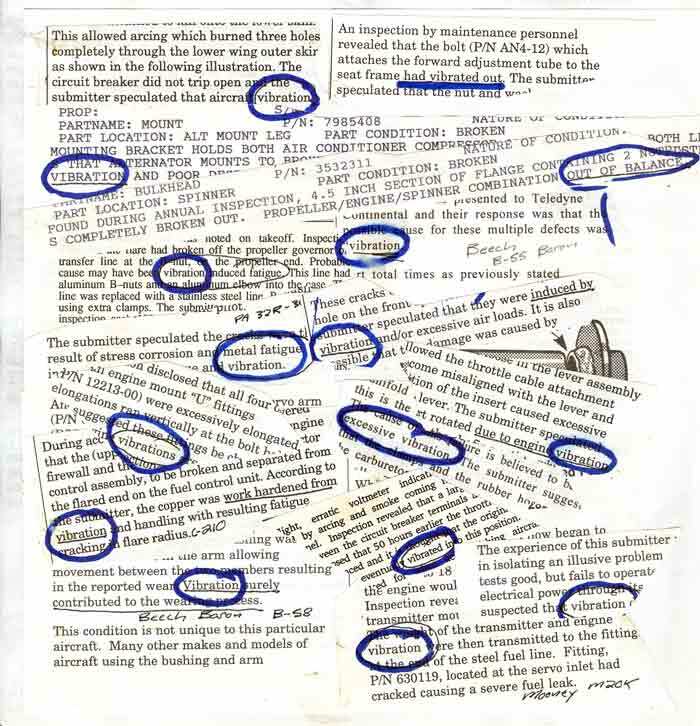 This Collage Image is comprised of SDR's ( formal service and difficulty reports) collected in just one year; 1992. Please forgive the poor quality of this image, it was not intended for mass consumption when it was created. It does show that vibration contributes to failures of all kinds. For a little macabre entertainment watch this video of a helicopter self destructing in ground resonance.